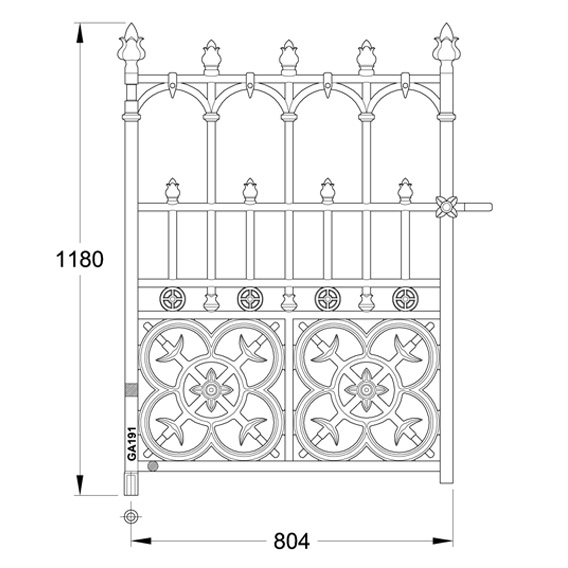 The Heritage Cast Iron pattern makers have reproduced faithfully the design for the Colwyn Gate from photographs taken of antique iron examples near Galashiels in the Scottish Borders. 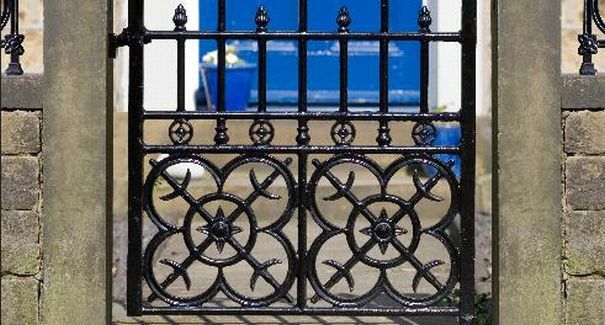 The original drawings of these stunning cast iron design examples can be found in the Macfarlane Castings Catalogue of 1882, Pattern number 809 which have served to create a masterpiece in Cast Iron design that is simply unmatched in other collections. 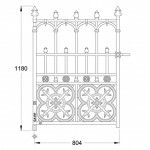 Colwyn Pedestrian Gate width – 2ft 7in. Automated Installation is available with all our collections. Our Colwyn Collection of Pedestrian Gates and posts are primed and undercoated, ready for applying the final coat after installation. CAD drawings are available on request.